Emazdad will amaze both parents and kids with his wide selection of colourful creations all created in a fun entertaining way, and put huge mile wide smiles on everyone's faces. Fun for all ages, young and old. It's not just the children either, Adults love to watch Emazdad twisting the balloons into amazing shapes and creatures, he often gets asked:- "Can Mum have one as well?" 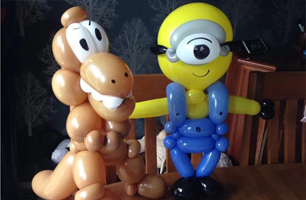 Frank the dinosaur and Steve the minion, two of Emazdad's most popular balloons. Balloon Modelling is great entertainment for any event and can be performed from either a static position, or in walkabout mode. The balloon models were absolutely incredible- I can't believe how quickly you made such difficult models. My friend Lisa spent all night making five dogs, and she was amazed ( especially as the models looked like what they were supposed to be;) the dogs she made were of a very dubious breed. 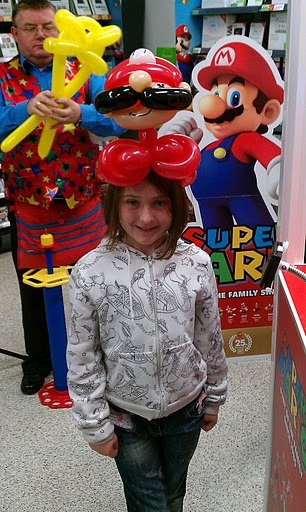 For a complete entertainment package you can combine the Balloon Modelling with a couple of Magic Shows and it provides great fun filled entertainment suitable for any event, large or small. 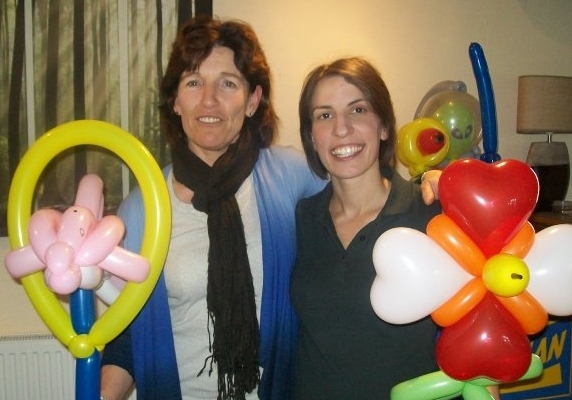 Are you thinking of getting special balloons printed with your event or company logo? Well Emazdad can even include these in his fantastic models for an even more amazing gift for the children.